Guests enjoy a mulitude of entertainment opportunities at this oceanfront beach resort. We are an all-Suite resort. You can take it easy on a parasail ride or compete with wave runners. If you must work, complimentary high speed internet available, otherwise sit back, relax, and enjoy poolside or beachside food and beverage service. 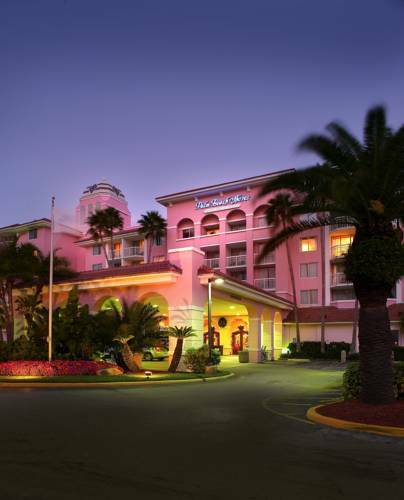 The possibilities are endless at the Palm Beach Shores Resort. Beachfront on legendary Singer Island, 20 minutes from downtown West Palm Beach, 19 km or 11 miles to Palm Beach Airport. First class shopping on renowned Worth Avenue. Other conditions might apply during high season and special offers. Cxl or No Show charges are 1 night room and tax. Casual Dining with a seafood/Caribbean flare. Fresh seafood and nightly specials. Outdoor dining on the veranda with occasional entertainment. Enjoy food and beverages poolside at the Tiki Bar. ~33 miles from Palm Beach Shores. ~67 miles from Palm Beach Shores.